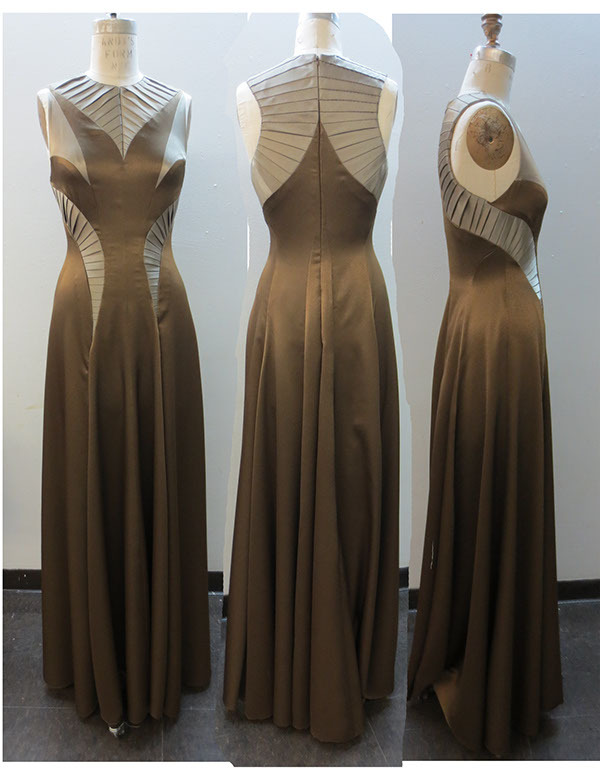 Eveningwear project. gold/bronze silk blend. Hand Pleated.